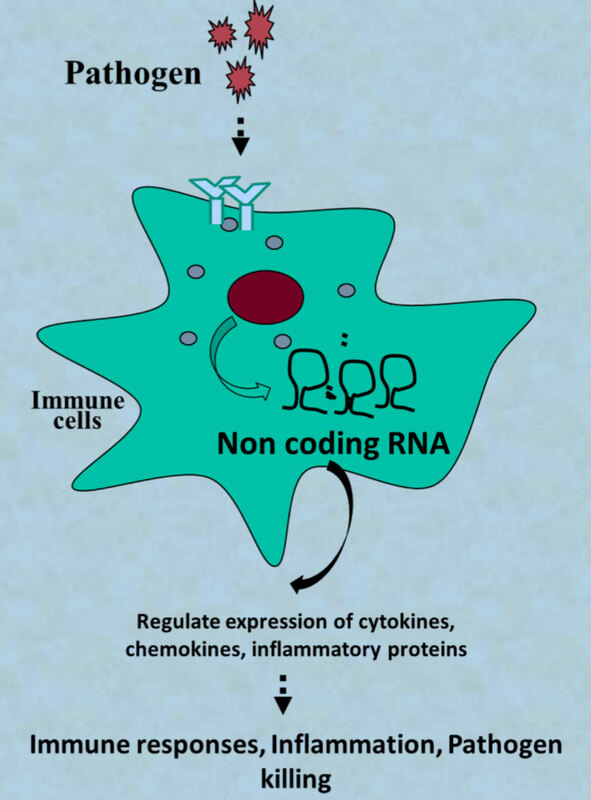 Non-coding RNA (ncRNA) regulates cytokines expression, immune response, and inflammation. “We need to know what turns on inflammatory response to bacterial infection to be able to modulate the process,” said Subhrangsu Mandal, the UTA associate professor of chemistry who led the research. “If we can do so, we can control inflammatory diseases of the central nervous system that have been hard to treat up to now, such as sepsis and meningitis, as well as cancer and muscular dystrophy, which can also be seen a kind of inflammation,” he added. The researchers have found that the long non-coding RNA molecule HOTAIR present in white blood cells has the capacity to signal these cells to activate immune response in the presence of bacteria. RNA, or ribonucleic acid, is present in all living cells. Its primary role is to carry instructions from DNA. The researchers used the resources of UTA’s North Texas Genome Center to demonstrate that noncoding RNA expression – including HOTAIR – is induced in white blood cells treated with lipopolysaccharide, which are molecules found on the outer membrane of bacterial cells. The research showed that HOTAIR gene was expressed alongside cytokines, which are excreted by cells as part of immune response, and inflammatory response genes such as iNOS. As a result, it is possible to conclude that HOTAIR is a key regulator for pathogen-induced cytokine expression, immune response and inflammation. “Having a resource like the North Texas Genome Center really means that we can multiply our work looking at non-coding RNAs in general, a burgeoning field in biochemistry,” he added. Fred MacDonnell, UTA chair of chemistry and biochemistry, congratulated Mandal on this new research. Be the first to comment on "Researchers Find New Pathway to Regulate Immune Response"